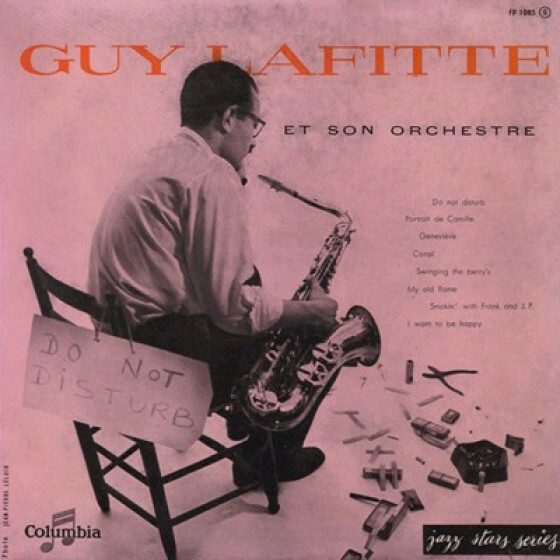 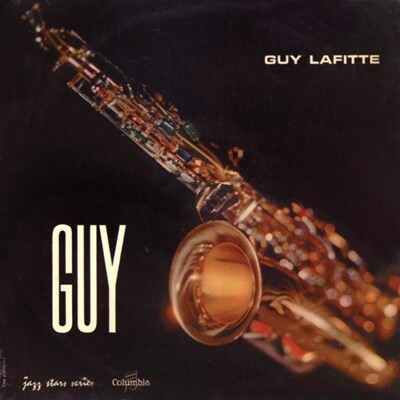 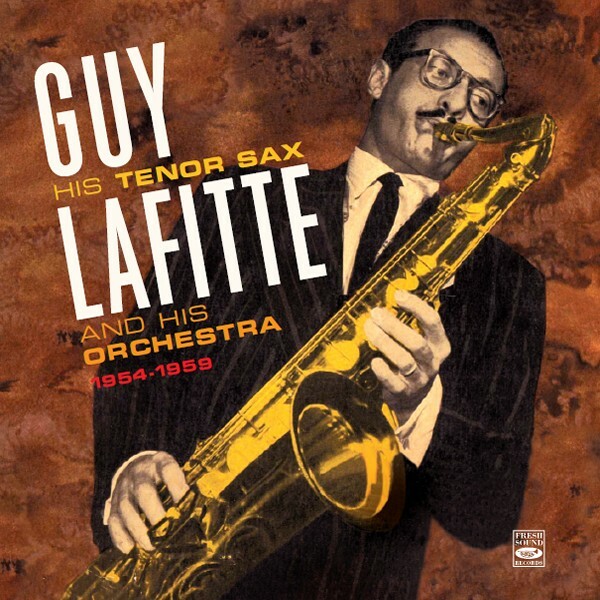 Already by 1948, Guy Lafitte (1927-1998) was becoming one of the most promising musicians of French jazz. 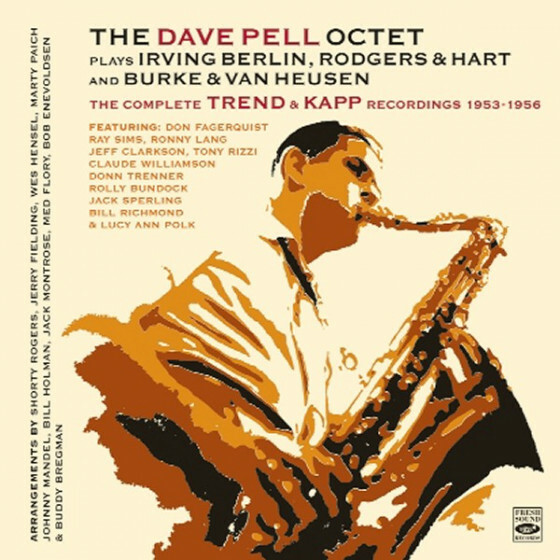 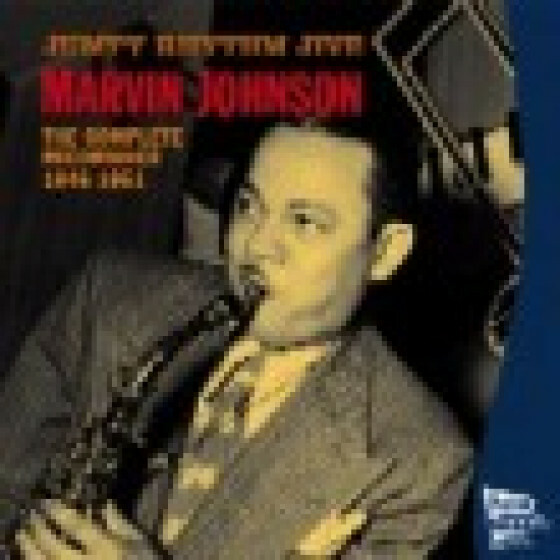 He was the saxophonist most often chosen by many American musicians who toured Europe, including Mezz Mezzrow during 1951–1952. 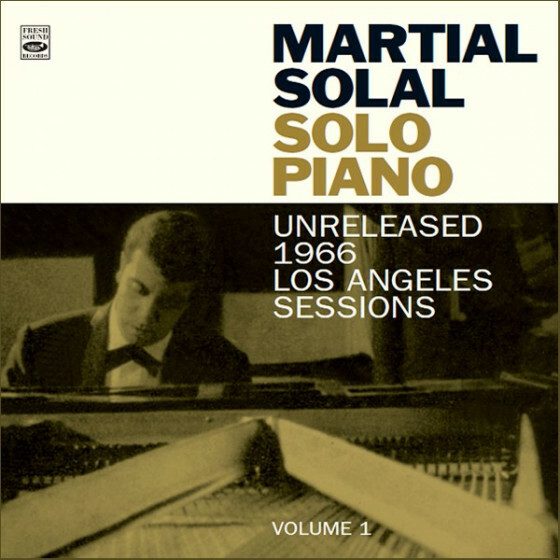 However, it took a little longer for him to capture the favor of the general public. 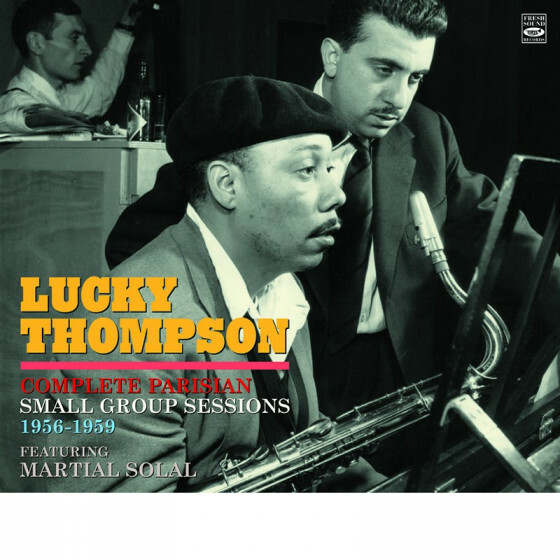 His moment of discovery arrived in the spring of 1954 when, after recording as a leader, l’Académie du Jazz awarded him the “Prix Django Reinhardt” as the best French soloist. 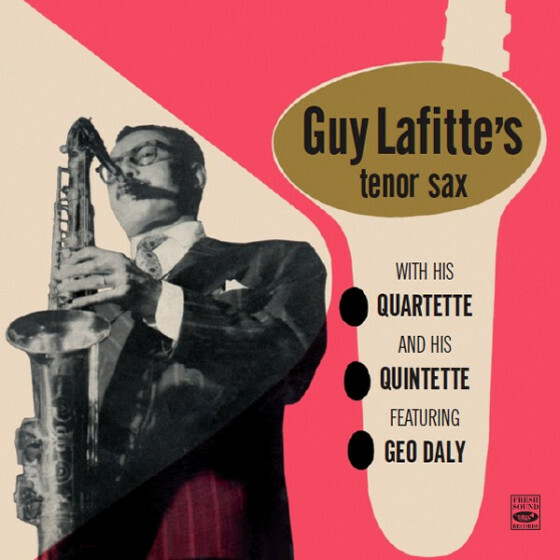 In the recordings of this CD, we listen to Lafitte leading and soloing in his commanding swinging and melodic style, backed by a series of orchestras that stand out not only for the delightful and invigorating performances, but also for the arresting contributions of all of the band soloists. 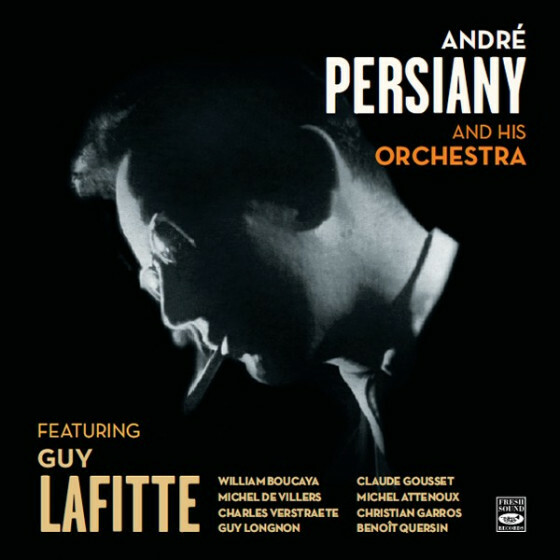 There is a great deal of variety on every one of these tracks, and the orchestras does perfectly what was called for in each case, thanks to the effective arrangements provided by the talented André Persiany, Claude Bolling and Martial Solal. 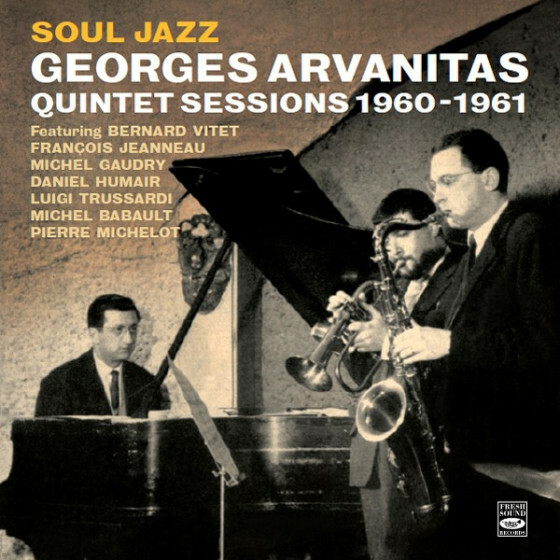 Bernard Hulin, trumpet; Benny Vasseur, trombone; Raymond Fol, piano and arranger; Guy de Fatto, bass; Pierre Lemarchand, drums. 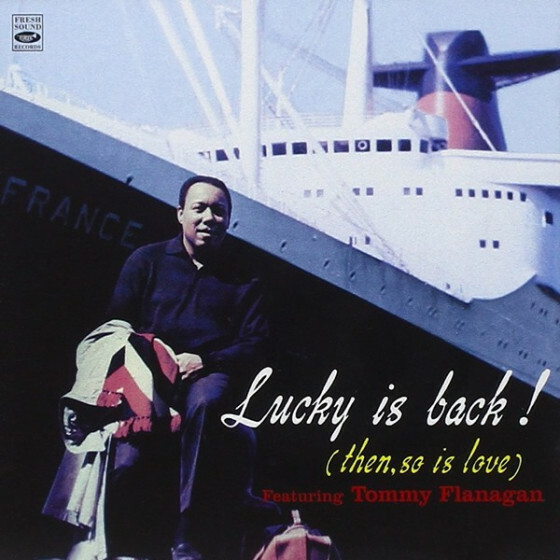 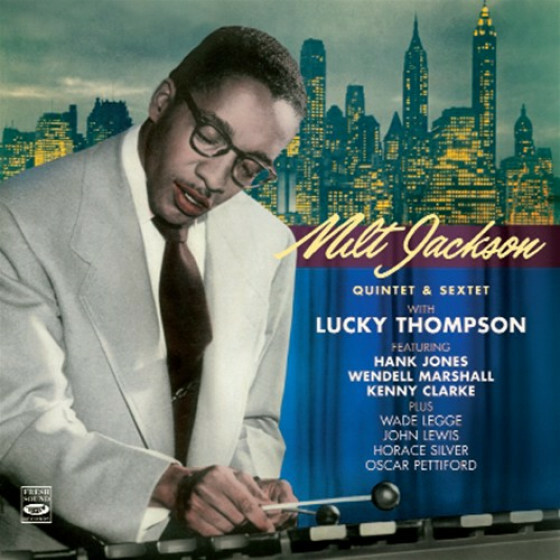 Guy Longnon, trumpet; Benny Vasseur, trombone; William Boucaya, alto sax; Michel de Villers, baritone sax; André Persiany, piano & arranger; Buddy Banks, bass; Jacques David, drums. 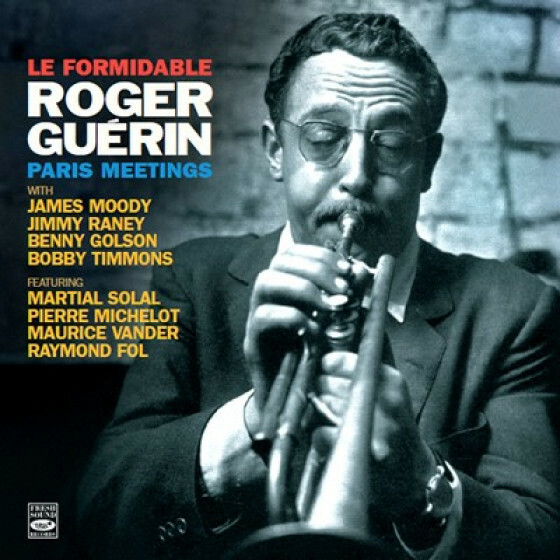 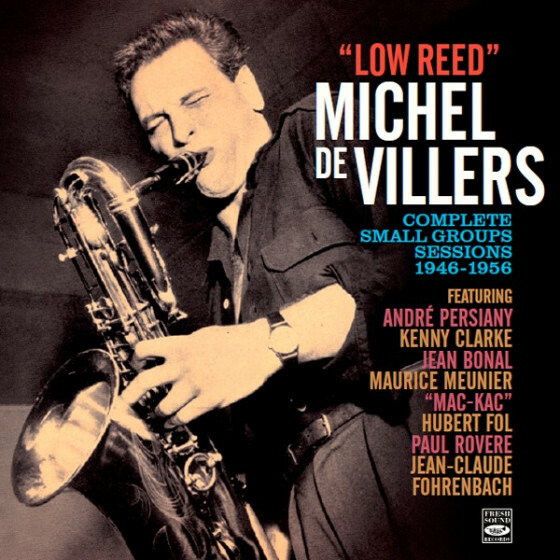 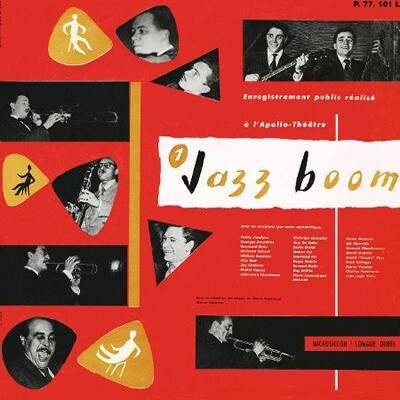 Roger Guérin, trumpet; Benny Vasseur, trombone; René 'Mickey' Nicholas, clarinet; Michel de Villers, alto & baritone sax; Claude Bolling, piano & arranger; Paul Rovère, bass; Roger Paraboschi, drums. 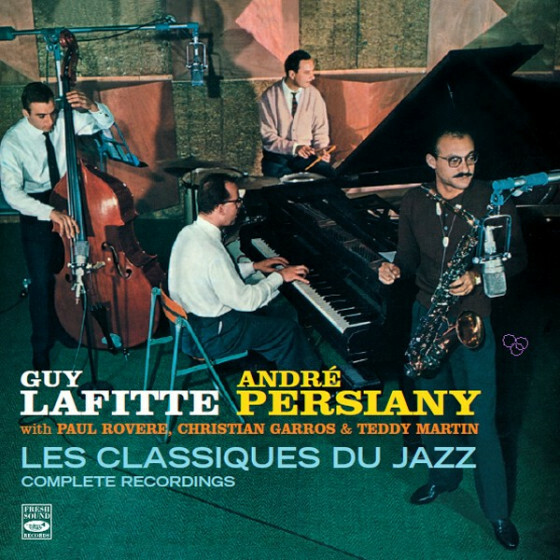 Fernand Verstraete, trumpet, and Christian Garros, drums, replace Guérin and Paraboschi. 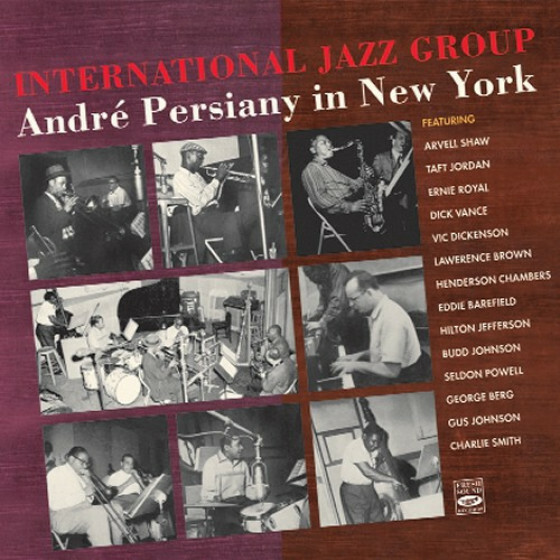 Large orchestra featuring Bernard Hulin, trumpet; Claude Gousset, trombone; Martial Solal, piano & arranger; Christian Garros, drums. 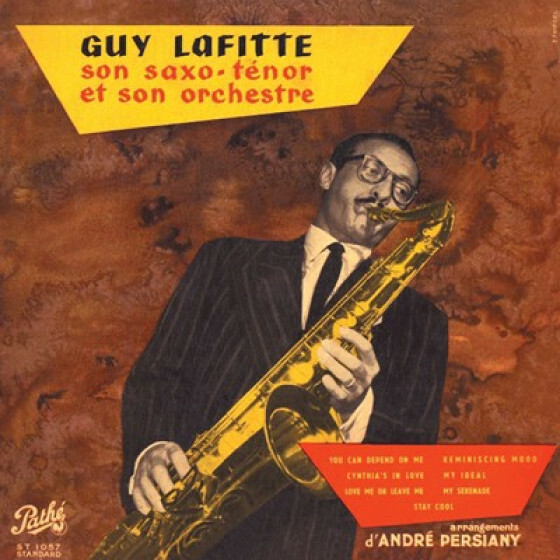 "Essentially overlooked in America, tenor saxist Guy Lafitte was one of the stars of jazz in Paris in the post-war years. 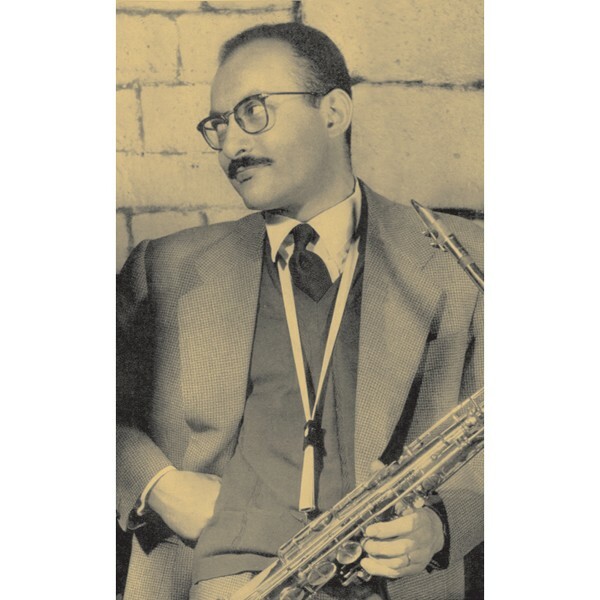 His tone and approach were inspired by Coleman Hawkins, and there are a lot worse decisions to make in musical life. 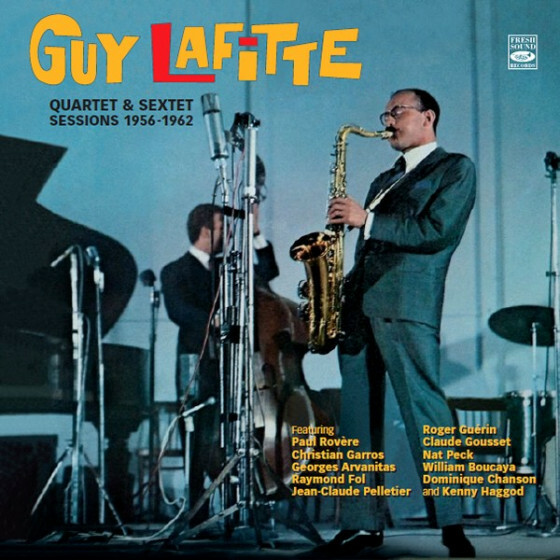 LaFitte had a sophisticated harmonic approach to his solos, they always sung and his breathy tone was deeply personal. 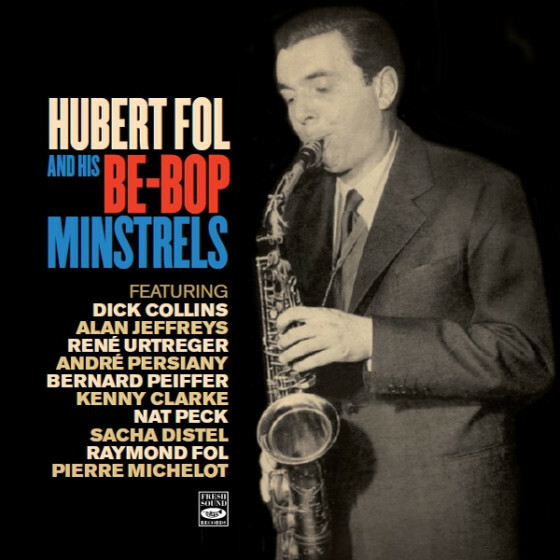 The various sessions here have him in small group and orchestraformats, all recorded in Paris, and all timeless in quality. A 1954 sextet session with Raymond Fol at piano and charts, Lafitte delivers a gorgeous “Don’t Blame Me” and a swinging “Love Me Or Leave Me.” The whole team sounds hip on “Blues for Vidi” and Benny Vasseur’s trombone slides safely into third on “Reminiscing Mood.” With Claude Bolling at piano, and Roger Guerin on trumpet, LaFitte fronts an octet that has a bopping “Smoking with Frank and JP” and Lafitte in a lush mood for “My Old Flame.” A swinign “Do Not Disturb” includes a hot little clarinet by Rene Nicholas, with “Genevieve” including rich thoughts by Bolling. 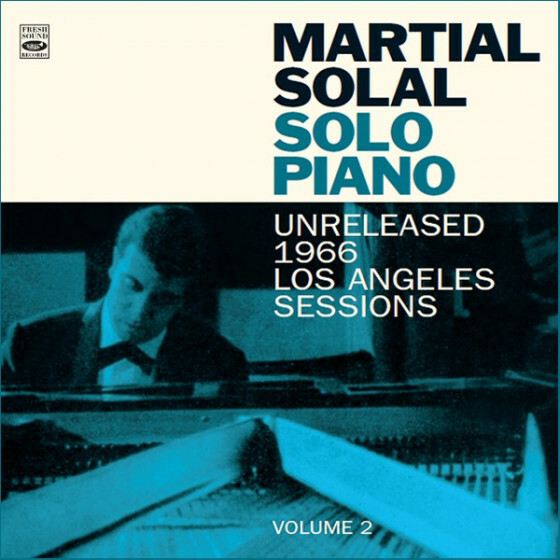 A handful of orchestra tunes with Martial Solal on piano includes a dreamy “A Flower Is a Lovesome Thing” and a wildly exotic “Caravan.” Inspiring!"